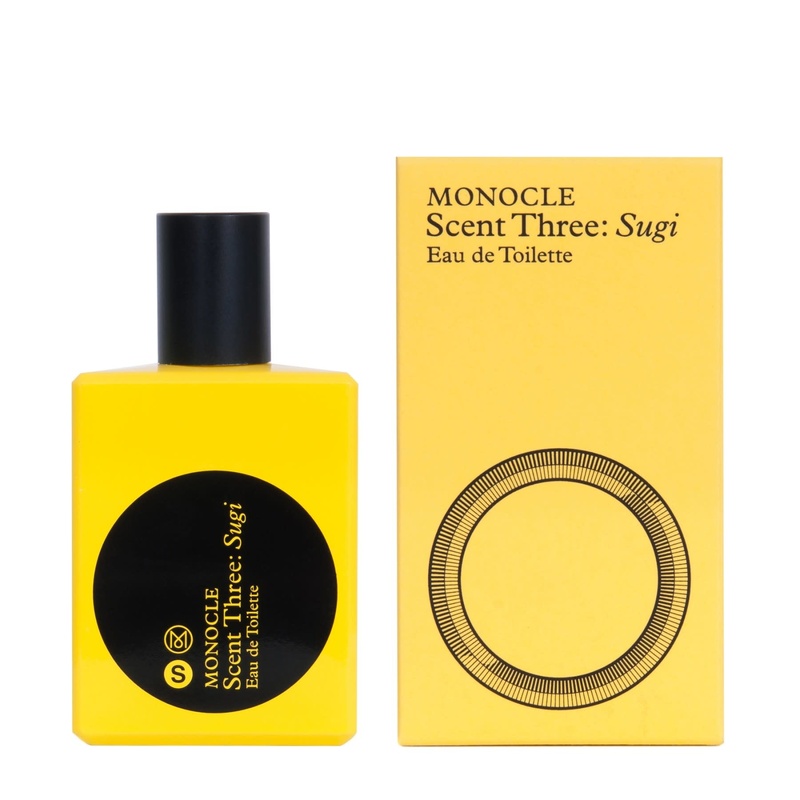 Monocle Scent Three Sugi Eau de Toilette (50ml natural spray) by COMME des GARÇONS. Sugi – also known as Japanese cedar – is popular as an ornamental plant in Japan and has a delicate, clean and energising fragrance. It’s a refreshing unisex scent, beginning with top notes of Mediterranean cypress and pepper from Madagascar, followed by iris from Florence and cedar from Virginia and finished with pine and Haitian vetiver. Mediterranean cypress, pepper, iris, cedar, pine, vetiver.